I recently was invited to young couples home to do a mold inspection. They had several children, all home sick from school. Despite the kids’ runny noses and coughing, they were well behaved. When I began my inspection of the home, I could not help but notice three things. First I noticed how clean the place was despite having 4 young children. Second, it was quite apparent that this stay at home mother of four was an outstanding homemaker. Gingerbread houses were under construction by each and every child and nearing completion. Nothing was out of place. Last but not least, I smelled mold. 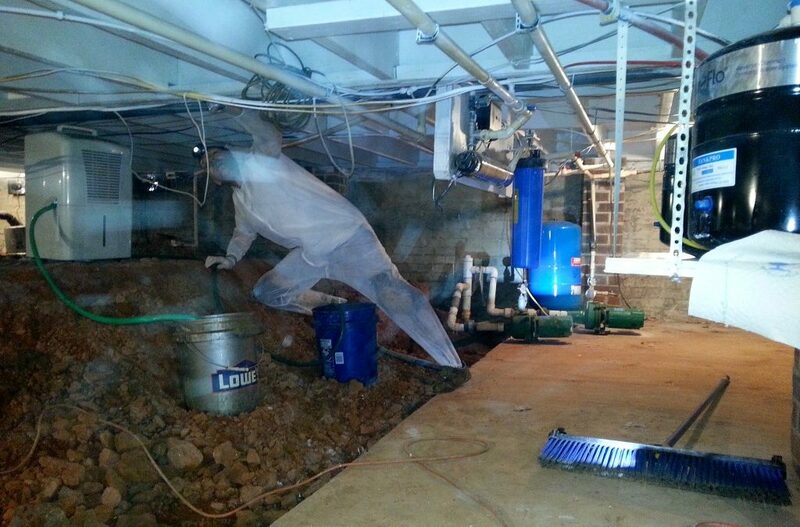 This home was built on a crawlspace which had been flooded in recent months. The smell was that of an old barn or farmhouse. Hardly normal for newly remodeled home. The lady of the house explained that her husband had complained about the smell, but she could not smell it. Spending most of her days in the home, she had become immune to the smell. My olfactory senses quickly detected mold. (V.O.C.s) or ‘Volatile Organic Compounds’ are a byproduct of the reproduction process of mold. These gasses emit from ‘fruiting bodies’ and allow mold to quickly reproduce. Add water to any porous substrate and it will begin to decay and smell. What the Robinsons were experiencing was the odor of decaying wood and wet soil under their home. The ‘Stacking Effect’ as I have referred to in previous posts, conveys that up to fifty-six percent of the air inside your home will test the same as your crawlspace. If your crawlspace is not bone dry and clean, you and your family will more than likely be adversely affected. So don’t be a ‘Mold Family Robinson’ have your home tested for mold today. Call Douglas at 864-710-6413.